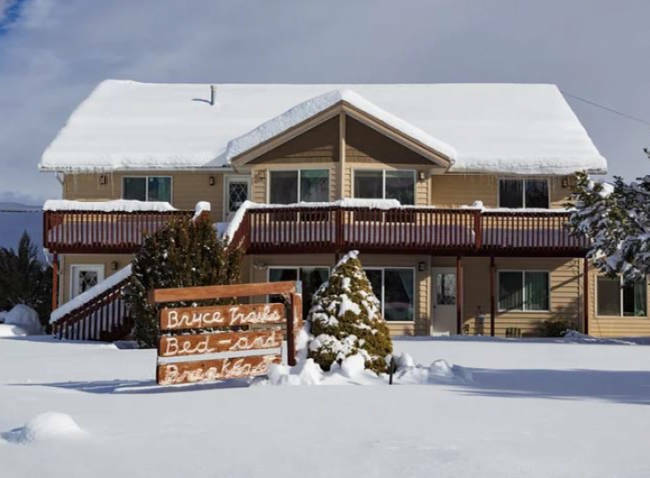 Less than 15 minutes east from the main entrance to Bryce Canyon National Park, the Bryce Trails Bed & Breakfast offers seven comfortable rooms for visitors to the nearby attractions. 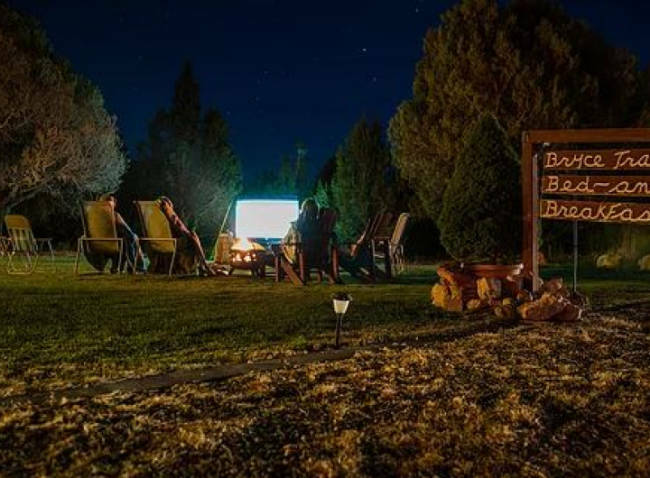 This cozy setting offers fabulous views of Bryce Point, Powell Point, and the cliffs surrounding Bryce Canyon. After a restful night of sleep, a delicious breakfast awaits you before embarking on your journey for the day. 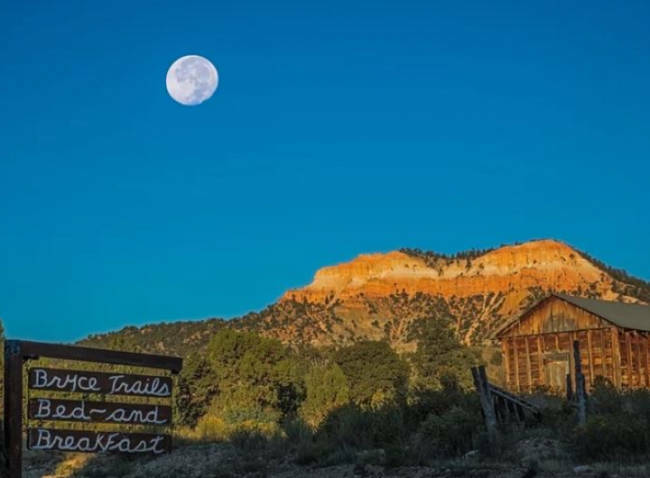 The rooms at Bryce Trails each offer a distinct flavor ranging from southwestern to floral to Navajo Native American to forest to angler to just simply a warm and country style decor. 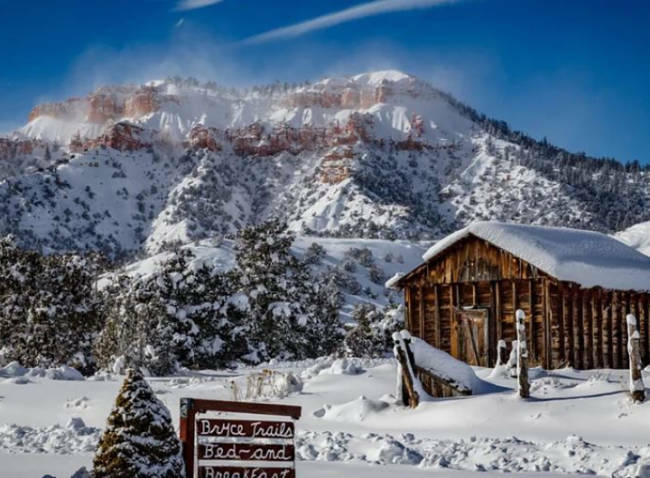 The staff of Bryce Trails offers unparalleled service to make your journey to Bryce Canyon and the surrounding areas enjoyable and memorable. And to get your day started in fine fashion, a breakfast made from scratch will give you the energy needed for the day ahead. 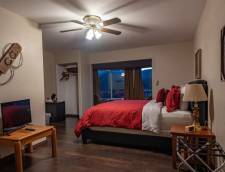 This is the most spacious and premier room at the Bryce Trails located on the second floor. It comes with a king bed along with a sitting area with spectacular views through big double windows. 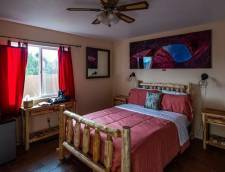 For those looking for a room with a distinct southwestern decor, this suite would be the room to choose. 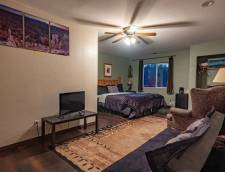 This corner room is the second most spacious room at the Bryce Trails located on the second floor. 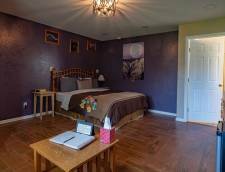 In addition to a king bed, the room has a trundle bed and features two windows facing the east with excellent views. This room for up to four people has a light feel with decor that is more floral in nature. This room is the newest addition to Bryce Trails and is only one of two rooms on the ground floor. This room features a queen bed and a sitting area with a view of a wooded area through two large windows. 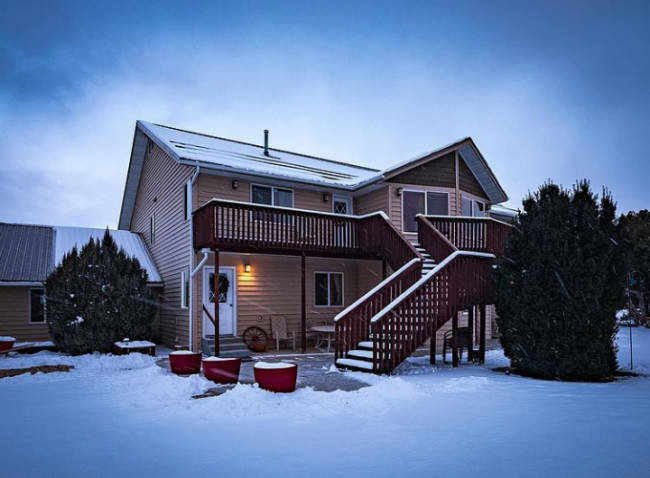 This is the only room on the premises with a jacuzzi tub along with a separate shower. This distinct room definitely has a warm decor. 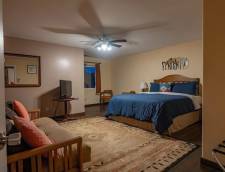 This spacious room on the second floor has a Navajo Native American flavor mingled with its southwestern decor. It can sleep up to four people with a king bed and a futon. Beautiful sunrises and sunsets can be viewed through a large window. This corner room facing west toward Bryce Canyon is located on the second floor. A king bed awaits the guests of this forest themed room. The local Bristle Cone Pine tree is prominently highlighted in the decor of the room. This corner room facing toward Powell Point is located on the second floor allowing for the viewing of fabulous sunsets. For a restful night of sleep, the room has a king bed. With the angler in mind, the room highlights fly fishing in its decor. 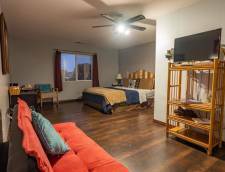 This ground floor room has been newly remodeled. Along with a queen bed, there is an electric fireplace. The country-style decor is obvious in this room. If cancellation is made prior to 14 days of reservation date, then the full amount of the reservation will be refunded minus a $25 cancellation fee per room per reservation. 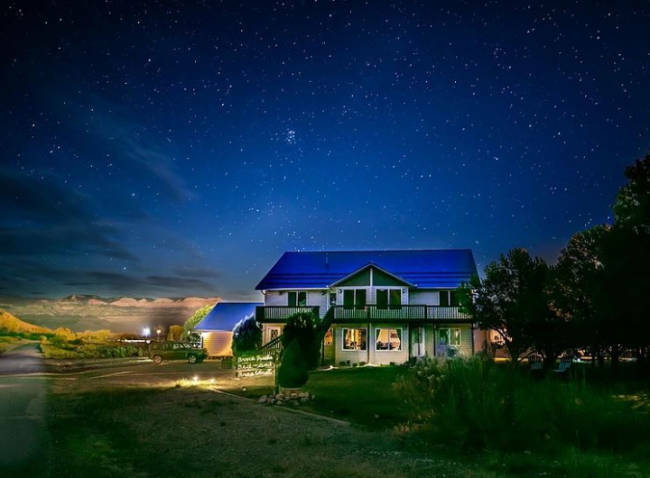 Within 14 days of reservation date, the first night is forfeited and all consecutive nights refunded minus the $25 cancellation fee. Within 7 days of reservation date, the full amount is forfeited! Rates Policy: Rates are based on two persons per room, an extra charge of $25 per additional person per night will be added to your reservations. Children 7 years and older are welcome.